This week The Pollination Project was proud to support grassroots efforts around the world that uplift and support people and communities. Two projects this week provide innovative tools to individuals with autism and their families. A project in Uganda supports people to plant nutrient rich crops to fight chronic malnutrition, and an 10 year old in Florida builds Monarch Butterfly waystations to support the migration of this dwindling species. We are honored to welcome these grantees into the Pollination Project global network. 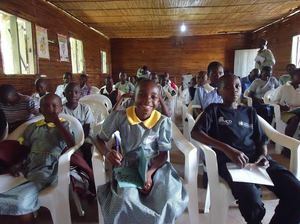 Menstrual Hygiene in Mityana, Uganda. Harris Namutebi is a Ugandan sociologist and the founder of the Menstrual Hygiene Project in Mityana, Uganda. They are helping to dispel common misconceptions about menstruation while providing families, female students, and educators with the means to make Reusable Menstrual Pads ("RUMPS"). The project hopes to ensure that female students will no longer need to miss class due to embarrassment or the lack of sanitary hygiene products. Cruising with Autism in Jacksonville, FL. Meochia Clayton is the founder and Executive Director of Cruising with Autism, Inc. in Jacksonville, Florida. Meochia provides the families of autistic teens and young adults with opportunities to travel new places in their communities. Additionally, Meochia regularly organizes social gatherings, family information sessions, and autism awareness with the goal of creating public awareness of the huge diversity within this community. Women Migrant Entrepreneurs in New York City, NY. Ngoc Nguyen's organization, Nanshe, is helping refugee and immigrant women in New York City build sustainable futures through community-oriented, entrepreneur development and support programs. Nanshe provides female business owners from immigrant families with legal and financial support, as well as offering a no-fee, peer-to-peer loan program funded by and for local immigrant business owners who want to make a difference in their communities. By the end of the 2015, Nanshe hopes to provide more than 50 business owners with over $80,000 in interest free loans. Free Tutoring in Sydney, Australia's North Shore. Alice Zhang and Catherine Hong's the Learning Project is addressing the systemic inequalities that create learning gaps between disadvantaged and privileged youth in Sydney, Australia's North Shore. Guided by the philosophy that all children should be given an equal chance in life to succeed, Alice and Catherine work together to provide free tutoring to students in the North Shore region to help close the learning gap. Healthy Childhoods in Uganda. Talugende Robert and Watulo Harriet's project provides impoverished children in Uganda with nutritious, plant-based foods in an effort to address the region's growing childhood hunger crisis. 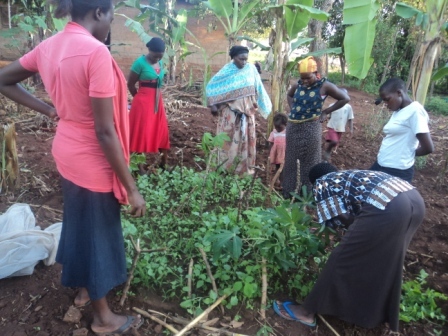 The Vegetables 4 Nutrition (V4N) project will provide more than 47 impoverished households from 2 villages in Baitambogwe with nutrient-rich sweet potatoes, moringa, and other plant-based foods. Participating families will receive nutritional education and assistance in the establishment of backyard gardens, which will help to ensure future household food security. Monarch Butterfly Waystations in Miami, FL. Ten year old Daniel Bravo is a 5th grader in Miami, Florida, with a passion for monarch butterflies. Through his Florida Monarch Waystation School Project, Daniel and his mother Lorna are helping to ensure the survival of monarch butterflies by planting one of the monarch's most important food sources, milkweed, at locations throughout Miami. For the past 8 months Daniel and his mother have managed a Monarch Waystation at Daniel's school and over the next year they will plant 12 new Waystations at elementary schools throughout the region. A Smartphone App for Children with ASD in San Diego, CA. Gerin Gaskin, Jim Turner, and Casey Hoffman are the creators of the San Diego-based nonprofit, See Beneath, Inc., that creates innovative tools to engage and educate children with Autism Spectrum Disorders. In their most recent endeavor, Animation for Autism: Aiko & Egor, the talented trio is turning the Aiko & Egor animated series into an interactive and educational smart phone app that will promote social engagement in children with ASD. Together, they hope to illustrate the nearly unlimited potentials of children living with ASD. Do you know someone who would be a candidate for a seed grant? We welcome grant applications from anyone, anywhere, at any time!